Now, however, Gad has posted another photo (seen below) featuring him at the DC offices with none other than Jon Berg and Geoff Johns, the co-heads of the DC Films division. 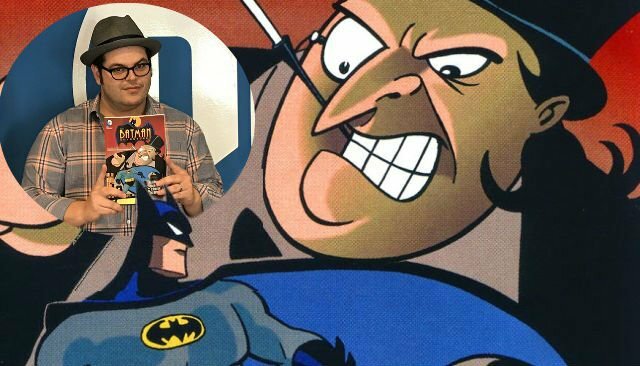 Gad is seen holding a copy of Batman Adventures Volume 1 featuring The Penguin on the cover. The character appears in the first issue of the series in a story where he teams up with The Joker to pretend to have gone legit, while pulling off heists to rob Gotham’s richest citizens in the night. Of course, a meeting still doesn’t confirm the actor’s involvement in any of their upcoming films, but it certainly lends more credence to the online speculation. There are a number of films in development at Warner Bros. that The Penguin could fit into, including Matt Reeves’ The Batman film or perhaps even Gotham City Sirens or the Nightwing movie. It remains to be seen where the character could appear, if at all, and whether Gad will be the one holding the umbrella. What do you think of Josh Gad as The Penguin? Sound off in the comments below!